Frequently Asked Questions Concerning the New Federal Sentencing Guidelines for "Crack" Cocaine and its Retroactive Application. Under the old law 5 grams of Crack Cocaine resulted in a mandatory minimum prison sentence of 5 years. Now under the new law it will take 28 grams of Crack Cocaine to trigger the 5 year mandatory minimum sentence. Under the old law 28 grams of Crack Cocaine resulted in a 10 year minimum mandatory prison sentence. Now under the new law it will take 280 grams to trigger the 10 year mandatory minimum. Many defendants have been successful in getting their sentences reduced retro-actively based upon the new Sentencing Amendments. What are the new Federal Sentencing Guidelines for Crack Cocaine? The Sentencing Commission recognizing the severe unfairness of the penalty imposed for possessing Crack cocaine as compared to powder cocaine has lowered by 2 levels the guideline range for Crack cocaine. The new guideline became effective on November 1, 2007. What does this 2 level reduction mean? On average the sentence is about 27 months shorter than it was before. What happens to those persons convicted prior to November 1, 2007? Beginning March 3, 2008, those persons can Motion the original Sentencing Court to Reduce their Sentence under 18 USC 3582. Is everyone entitled to have their Sentence reduced? No. There are several exceptions, and there are exceptions to the exceptions. Also the final decision to reduce the Sentence rests solely with the Sentencing Judge. 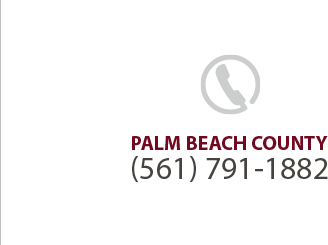 To determine if you are eligible for a reduction in your Sentence, please call me at (561) 791-1882 or contact me online to discuss the details of your case.